Have you ever thought about the most common software application installed on your computerized devices in your home? Is it some super tuned operating system you can't live without? Or is it some sort of office application you use to write, make presentations and connect with your friends and business acquaintances? Maybe it is your favorite browser you are using on daily bases to connect to your social network? Or some photo gallery application with tons of your digital photos and video clips? Perhaps it is some Skype-like communication device that is always within reach? Whatever it is, and depending on who you ask, I am more than positive that there are no unique answers. I am sure everybody knows (?) why they are so fused to computer screen(s) these days, but in our case there is no doubt. In total sum of our digital home appliances that can be found on various desktops or fit nicely in our backpacks or pockets, the most dominant cross-computer application is Minecraft. That includes couple of Androids and Windows Phones, various personal computers and one Xbox console. Not only that we tried the most of Minecraft installations, Maps and Mods but also we are hosting a small server with our own growing world. Well by 'we', I surely include myself with a teeny-tiny share in the plural meaning of the world, but the most of the 'we' belongs to Viktor which is our in-house expert for Minecraft affairs. But before giving some thoughts on Minecraft game, I asked our expert couple of questions in hope to understand why one not-so-graphically demanding application and one-not-so-typical game that requires not-so-much-of-real-gamer-skills when it comes to quick interaction between the characters and other players is so popular and truly became a worldwide phenomenon and won so many awards over the years. Following is a short interview with me asking questions and Viktor answering them - to be honest, I am not really that familiar with all the Minecraft world - let's face it, over the years it grew into full internet movement with MineCon and everything, so I hope my prepared questions are not off-the-topic or old, rusty and non-interesting.. 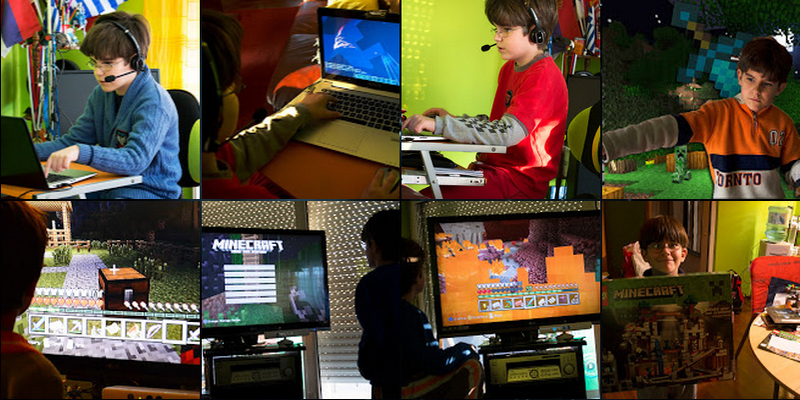 When did you learn about Minecraft and how did you feel playing it for the first time? At first I didn't like it that much but later after I watched "The Asian Guy Gamer" and their Minecraft videos on YouTube, I bought Minecraft disk for Xbox360 and started making my own worlds. I am playing it almost every day ever since. Why do you like Minecraft so much and how it is different to other games? Because I can build things and make my own worlds. Also, there are so many worlds out there and every game can be different and I can do whatever I want. What do you like the most in the game? To search and mine diamonds and make armors, swords, tools etc. To build large houses and castles and to play within online servers. How would you rank Minecraft installations and why? 1. PC 2. Xbox 3.WP 4. Android. PC version is the best, simply because I can play in multiplayer mode with my friends online. It also allows typing commands and cheats. And I have server of my own with my IP. Who are your favorite characters and skins in Minecraft? Hulk and Foxy for skins and Ender Dragon for characters. Horses in Xbox are also great. What is the most complicated structure that you ever built? Roller-coaster in PC and large, eight floor, house in Android game. 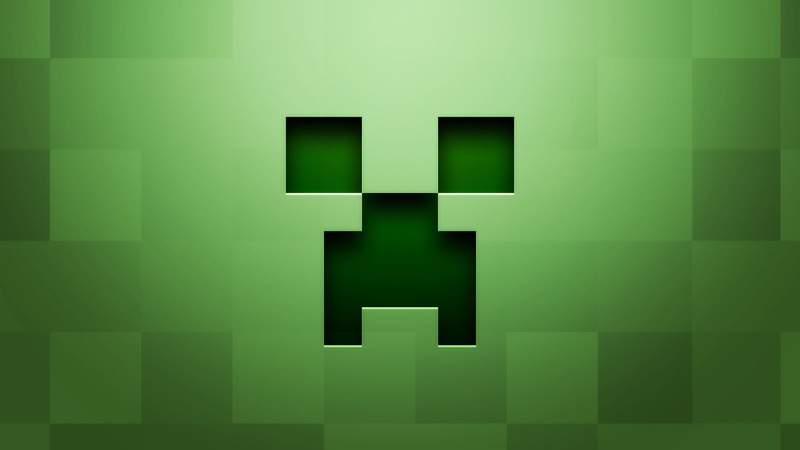 Who are the best Minecraft gamers you are following online? Definitely Pat and Jen, Channels: PopularMMOs & GamingWithJen. Also Think's Noodles, ThеDiamondMinecart and Stampy. If you could, what would you do to improve Minecraft in the future? I would like to see portals between servers somehow. So I can make portal in my server that ends in some different server. Also more interesting machines. Which one do you prefer: Creative or Survival mode? Well, there you go, I can't be completely sure of course, but it is pretty certain that if you asked any other seven years old Minecraft gamer, you would get the same answers. More or less. However, this game attracts players of any ages. I was no different. I remember when I turned it on for the first time and after spending half an hour in the tutorial, my first reaction was "What's this?" followed by "What should I do now?". And then, I realized. This is not the ordinary game. Like the most of the other games where you clearly know what to do and what is your goal. No, here, there are no goals and there are no levels. There is no ultimate ending you are reaching toward. The only thing Minecraft is giving you is the environment. The rest is all yours. As soon as I figured that out, it was pretty obvious that in order to turn the game on, you have to deal with two switches. One is to click on the icon to start the game and the other is in your head. The one that says "Imagination Power On". So I clicked on that one too and everything started to make sense. Next thing I knew was that hours passed in real world while I experienced a truly great and short entertainment inside. In the nutshell, Minecraft doesn't require some expensive VR gadget to render the world for you. It does all that with elementary graphics and ordinary three-dimensional programming. What it is extremely successful with, is the interaction with that other switch in your head that makes everything possible. Very few games are capable of such thing and this is the main reason Minecraft is so successful for so long. For that matter I have fears for the direction of future Minecraft and the vision in Microsoft in order to use it inside of their version of Google Glass, called HoloLens. I surely understand the need for next gen gadgets and that VR is always trying to get into gamer's world effectively, but in this particular case, it could destroy the very essence of Minecraft imagination. 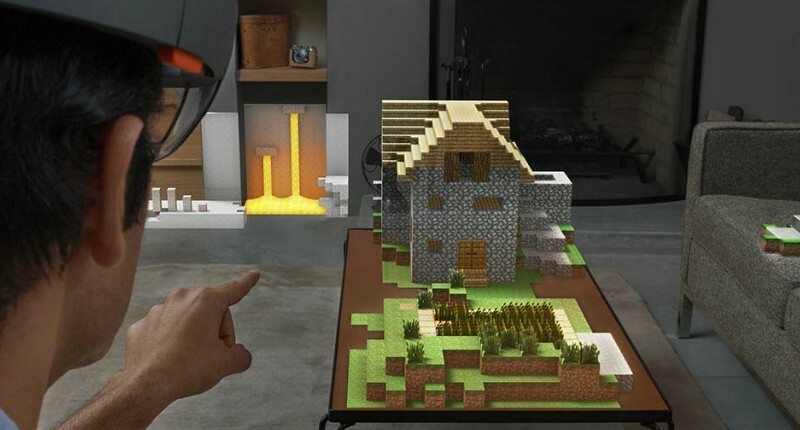 I am sure that HoloLens, when it comes or in one of it's future versions will effectively merge the real world with the imaginary one, and in this case perfectly render Minecraft world into your living room. Imagine that. But, is this really necessary? Perhaps not. Playing imaginative games like this one is just like reading books. You don't need extra help to render the virtual world. You have the ultimate gadget already. For free.